Day 1: Fly to Johannesburg. Day 2 Johannesburg: On arrival transfer to your hotel. Day 3 Johannesburg/Hazyview: Morning departure along the circular Panorama route, via Graskop, visiting the viewing points of Blyde River Canyon, one of the natural wonders of Africa; gasp at the glory of God's Window with a boundless view of mountains and fertile plains; and finally visit Bourke's Luck Potholes before heading to Hazyview. 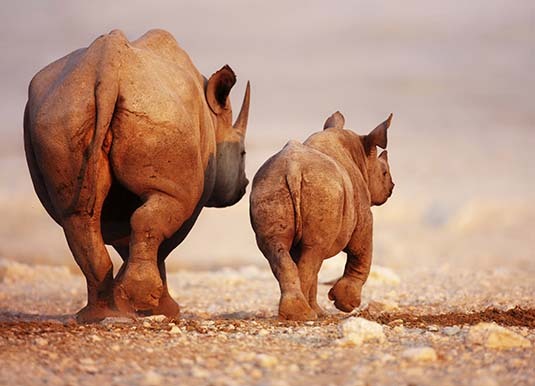 Day 4 Kruger National Park: A bright and early start for game viewing in Kruger watching for all manner of wildlife. Hopefully, you will spot lion, elephant, buffalo, rhino and leopard along with all the wonderful flora and bird life that abounds. Should you wish to take a safari by open-vehicle, this is available at a supplement. Afternoon at leisure. Day 5 Hazyview/Swaziland: Enjoy an enchanting drive to the tiny Kingdom of Swaziland and visit a real Chief's village to gain authentic knowledge of traditional Swazi culture. Day 6 Swaziland/St Lucia and surrounds: Journey into Zululand stopping en route at the roadside markets for the chance to bargain for curios and souvenirs. Continue into the Kingdom of KwaZulu-Natal where ancient traditions and modern cultures of both Zulu and settler have combined into a vibrant society living in peace and harmony. Afternoon arrival in Umfolozi. 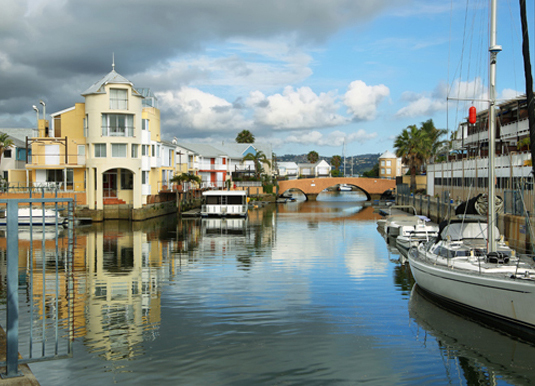 Day 7 St Lucia and surrounds/Durban: Morning at leisure, with an option to enjoy a morning boat cruise (additional expense) or simply soak up the atmosphere of this town. 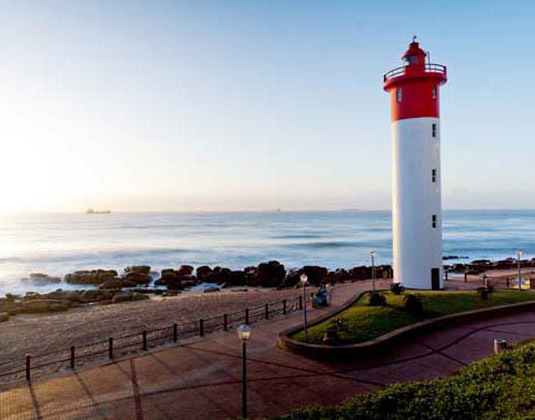 Late morning departure for Durban and onarrival enjoy an introductory tour of this exciting seaside city. 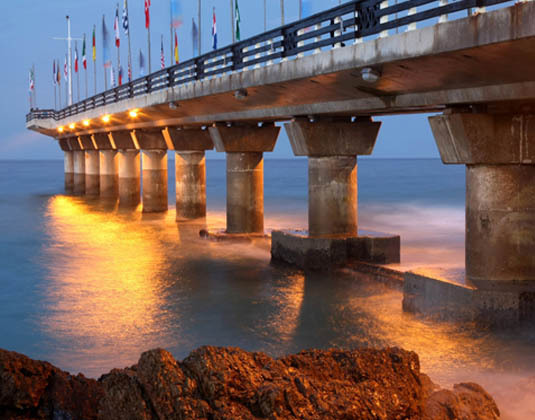 Day 8 Durban/Drakensberg: Take a stroll along Durban's golden mile before your departure into the majestic southern Drakensberg Mountains. 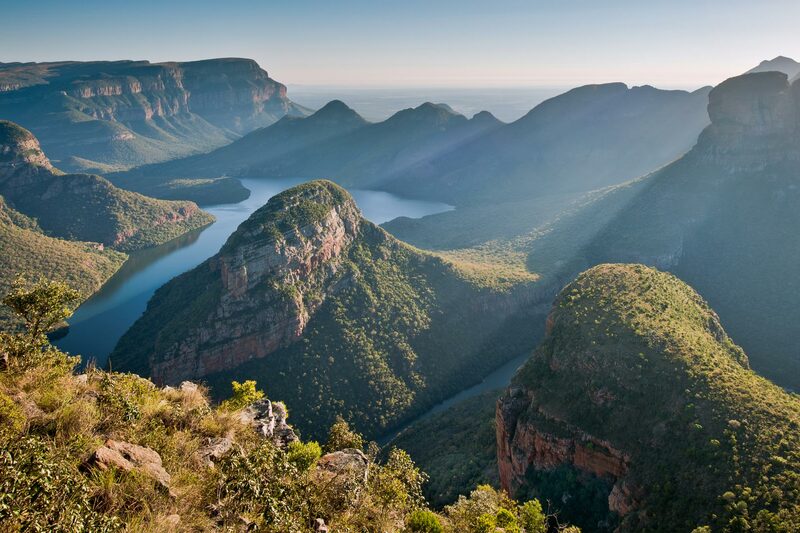 Visit the 300 feet high Howick Falls before continuing through the Southern Midlands Meander Route. At leisure on arrival to soak up the stunning scenery and fresh mountain air. 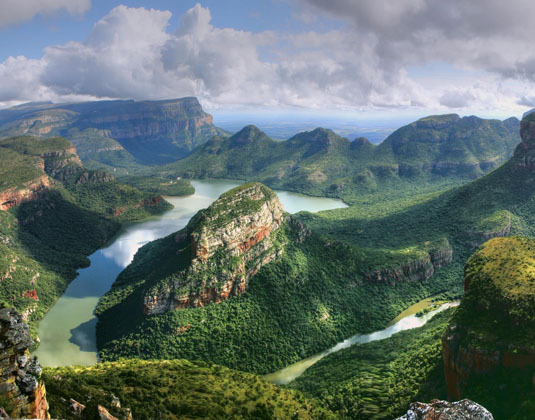 Day 9 Drakensberg: A day at leisure in Drakensberg or take an optional 4x4 adventure tour up the Sani Pass and into Lesotho (additional expense). 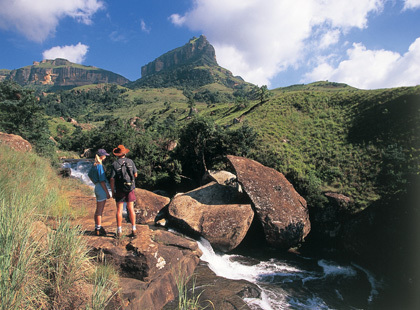 Day 10 Drakensberg/Eastern Cape Coast: Head south to the Eastern Cape, birthplace of Nelson Mandela. En route see the old traditional way of life in the homeland area known as the Transkei. Continue via Nelson Mandela's birthplace and house, arriving late afternoon in Chintsa East, on the beautiful unspoilt Eastern Cape Coast. Day 11 Eastern Cape Coast/Port Elizabeth: Morning at leisure to unwind on the beach which stretches for many miles, while the thick indigenous beach forest is a haven for various bird life. Afternoon departure for Port Elizabeth. Day 12 Port Elizabeth/Knysna: En route to Knysna visit the Tsitsikamma Forest and walk the suspension bridge over the Storms River. 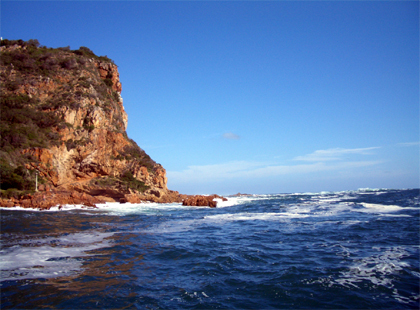 Day 13 Knysna/Mossel Bay: Depart for Oudtshoorn to visit the famous Cango Caves and an ostrich farm, before travelling onwards to Mossel Bay. Day 14 Mossel Bay/Cape Town: Explore Mossel Bay before driving via Swellendam, Worcester and through the Huguenot Tunnel to CapeTown. Day 15 Cape Town: A day at leisure for independent sightseeing. 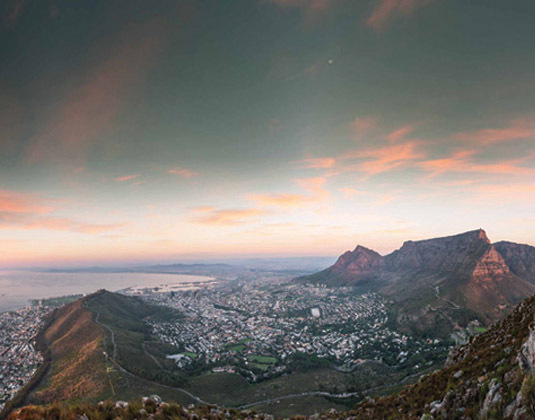 A stroll around the V&A Waterfront is recommended or perhaps on the cable car for a ride up to the summit of iconic Table Mountain. 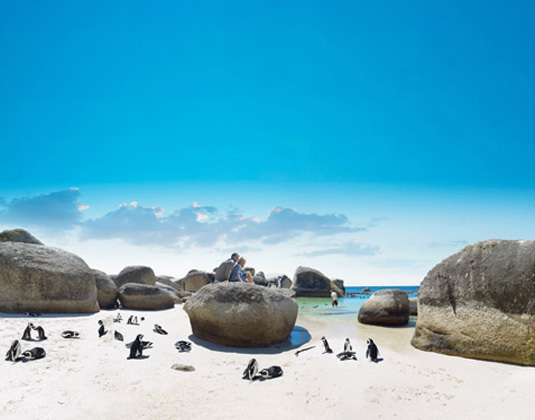 Day 16 Cape Town: Your tour concludes with a transfer to the airport for your onward journey. Departures: Tour departs on selected Saturdays. Meals: Breakfast. Dinner is also included on days 8,9, 10 and 12. Tour price: The price shown for this escorted coach tour is based on the best value travel dates in low season and includes international flights, transfers pre and post tour, 14 nights accommodation and sightseeing as outlined.